Supernatural Spin-Off In The Works? Reports coming in from Comic-Con last night that The CW is planning to drop in a ‘back-door pilot’ for a possible spin-off show after season 9 of Supernatural. Some time around Episode 20 we should see a new character introduced who would be the star of the new show. Other than that, details are sketchy… Both the Winchester boys will ‘appear’ in the spin-off (although I suspect only as occasional cameos). It’s also supposed to be more city-based than Supernatural’s usual small town/wilderness feel. 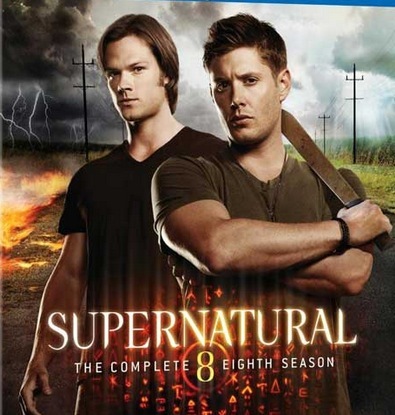 Due to Sky Living’s rather sluggish scheduling, the UK is currently only just airing Supernatural Season 8, with Season 9 due to air in the US on the 15th October 2013 (and probably July 2014 in the UK…) Ackles & Padalecki are both signed up till Season 10 though, so it’s fair to assume their’s at least 1 more year left in the original show (or 2 more if you’re in the UK.) Would make it a perfect time to drop in a spin-off show. Means they have at least 1 season to run the shows side-by-side, then if they boy’s don’t want to do anymore (or contract renewals don’t go well), they will hopefully have the 2nd show already established. It’ll be interesting to see how things go!